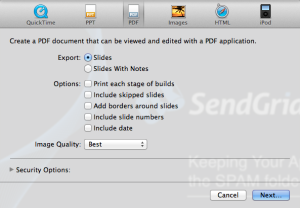 Then upload your exported file to Slideshare. 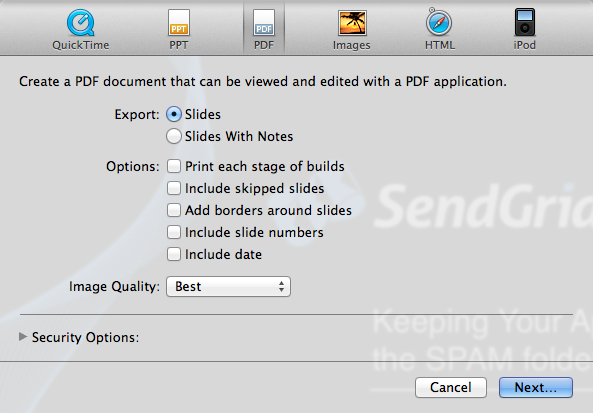 This step allows Slideshare to parse out the slide notes. In the Info & Settings section, you can update the Title, Description, Tags, Category and a few other items. Since your profile information shows up along with your slides, ensure that information is up to date. In the Info & Settings section, you can also add YouTube links and choose where that video will appear within your presentation. Note that this may cause your slide numbering to be out of sync, so you may have to go through steps 1 and 2 again to re-sync. I hope this guide helped you, if so, please drop any tips you may have in the comments below or share on your social channels.